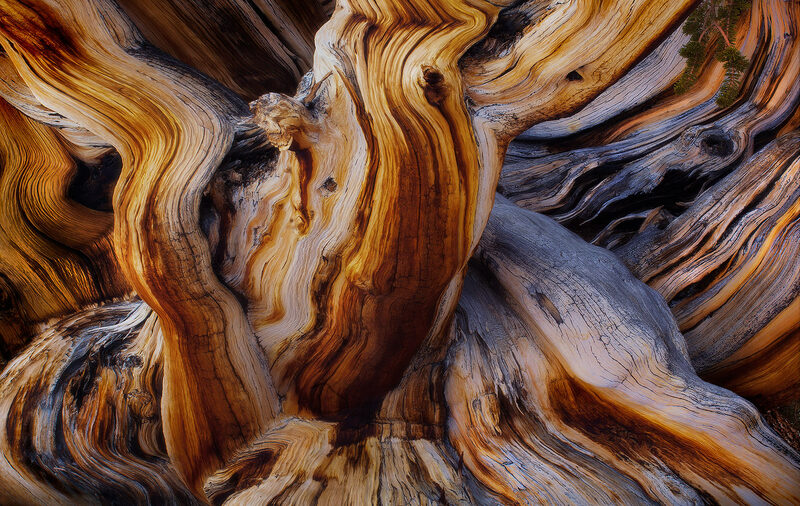 An abstraction of the side of an enormous, 7-meter wide Bristlecone Pine that is more than 3000 years old. I found the giant in a rarely visited grove atop the White Mountains of California while backpacking the range in winter. The colors are natural. Photo © copyright by Marc Adamus.